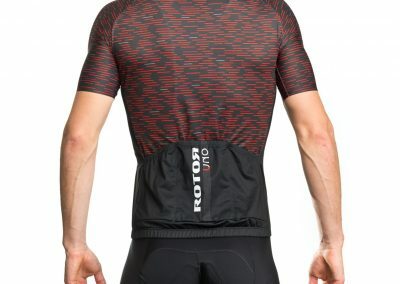 ROTOR Componentes Tecnológicos, S.L., with headquarters at C/ Miño 14, 28864 Ajalvir, Madrid, and with CIF B81484552, will execute an international promotion called “UNO Premium Jersey and Bib Shorts Gift” (hereafter “the promotion”). Eligible participants are informed that simply by participating in the promotion implies full acceptance of the promotion’s terms and conditions. 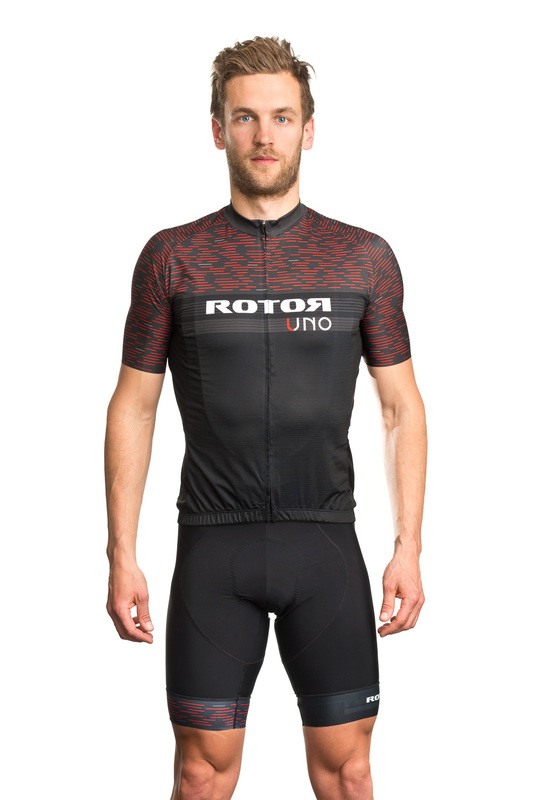 For the purchase of a ROTOR UNO hydraulic groupset, the user will receive a ROTOR Premium jersey and bib shorts in the requested size. 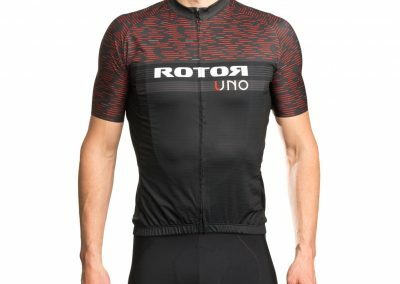 At the time of product registration via the page: https://rotorbike.com/catalog/default/productregistration/productregistration/setRegistrationMethod/, the customer must fill in the product registration fields as well as indicate the shipping address and required sizes to be sent by post within approximately 30 days to the address provided for that purpose. The promotion will be valid until September 30, 2017 or until items are out of stock. If stock runs out, we would communicate this information via the ROTOR website (www.rotorbike.com). The promotion is valid internationally (Europe, Asia and USA). Taxes and customs fees are not included in the promotion. Participation in this promotion is free and voluntary. 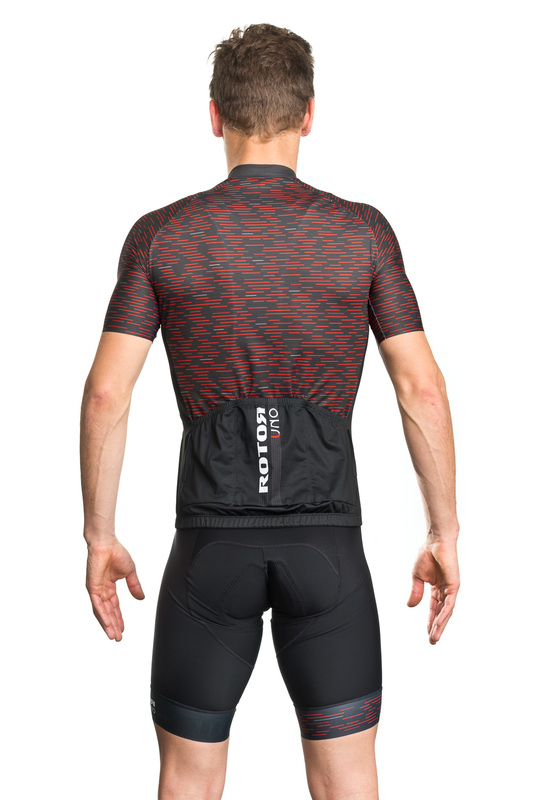 In order to obtain the jersey and bib shorts kit, one need not disburse any additional amount as the promotion is aimed at the final purchasers of the models mentioned, and who are of eligible age. Employees of ROTOR Componentes Tecnológicos, S.L. or those persons who have participated directly or indirectly in the development and/or execution of the promotion, as well as their first relatives, may not participate in the promotion. ROTOR UNO groupset with either disc brakes (post mount and flat mount) or rim brakes. In case of a sizing error, the costs derived from this return will be borne by the purchaser of the UNO groupset. ROTOR is not responsible for the return shipping costs for size exchanges. Participants, by the mere fact of participating in the present promotional action, accept its conditions, as well as accept ROTOR’s criteria for the resolution of any issue derived from the interpretation and execution of the present conditions. ROTOR is not responsible for any losses, delays or any other circumstance attributable to third parties or to the Internet, which may affect the participation and development of this promotional action. ROTOR is exempt from all liability arising from the malfunctioning of electronic communication networks that prevent the promotion’s normal development for reasons beyond ROTOR’s control and, especially, for external acts of bad faith. Nor will ROTOR be responsible for the problems of transmission or loss of data not attributable to it. In addition, ROTOR is not responsible for any errors that could be made by participants when providing their personal data. ROTOR reserves the right to modify this promotion if circumstances so require. Likewise, the Participant expressly acknowledges and accepts that ROTOR may modify, interrupt, and/or cancel the promotion for justified reasons at any time. Taxes and customs fees are not included. We reserve the right to modify or replace these Terms at any time. If the revision is in reference to products, we will attempt to provide at least 30 days notice prior to any change to the terms. Any change in the product may be subjectively motivated. ROTOR COMPONENTES TECNOLÓGICOS, S.L. complies with current legislation on the protection of personal data. We are committed to safeguarding your information. In order to prevent unauthorized access or disclosure, we have put in place appropriate physical, electronic and administrative procedures to safeguard and secure the information we collect online. ROTOR COMPONENTES TECNOLÓGICOS, S.L., in compliance with current legislation on the protection of personal data (LO 15/1999 of December 13, Personal Data Protection Law and RD 1720/2007 of 21 December, which evolved from Law 15/1999 of December 13, Personal Data Protection Law) and with the confidentiality requirement for its own activities, we disclose the existence of a personal data file named CLIENTS and/or SUPPLIERS, property of ROTOR COMPONENTES TECNOLÓGICOS, S.L. with the aim to manage customers and suppliers. If you do not want the actions listed above to take effect, please do not provide us with your details. In any case, the consent can be revoked by sending an email to unsubscribeme@rotorbike.com (this could imply the termination of the relationship between the company and/or supplier). ROTOR COMPONENTES TECNOLÓGICOS, S.L. has taken the necessary measures to maintain the level of security required, according to the nature of the personal data and to the circumstances with regard to the processing of such data, in order to avoid as far as possible through technical measures, the alteration, loss, processing or unauthorized access to the data. At the moment in which a relationship is established between the customer and/or supplier and ROTOR COMPONENTES TECNOLÓGICOS, S.L, it will be necessary to obtain some data for the provision of services. Similarly, additional information to be given on a voluntary basis may be requested for the purposes of information and marketing services. If there are blank fields to fill out by the user, these will be used to obtain information to improve service or products. No data are required that would disclose ideology, union affiliation, religion, beliefs, health, racial or sexual preference. In order to keep the information contained in our files and free of errors, we ask our clients and users to communicate modifications and corrections to their personal data to us as soon as possible. The data provided by the user will be considered as true, otherwise modifications and corrections must be communicated so that the data can be updated. The user gives his consent so that ROTOR COMPONENTES TECNOLÓGICOS, S.L. can make use of personal information to transmit (through a browser or software) third party advertising (according to the websites visited) that may be useful in relation to the services requested of ROTOR COMPONENTES TECNOLÓGICOS, S.L. In the case that the services are to be used by minors, they must give us prior parental or guardian consent, with regard to the collection and processing of personal data, in accordance with the legislation in vigor in matters of Data Protection. The user has the right to exercise his right of access, rectification, cancellation and opposition to the processing of data. Personal data will be treated with absolute confidentiality and will be used only for the stated purposes and only with the consent of the user. All private communications between ROTOR COMPONENTES TECNOLÓGICOS, S.L. and its customers and/or suppliers will be considered as confidential, and ROTOR COMPONENTES TECNOLÓGICOS, S.L. will be committed to keeping data about people confidential, taking into account that it must protect data and take all necessary measures to avoid alteration, loss, treatment or unauthorized access in accordance with the provisions of the Regulation on Security Measures. In addition, data will also be subject to the confidentiality conditions of any information exchanged between the parties, considering these agreements to be of such nature, or are simply viewed to contain such nature. The display of data over the Internet does not constitute direct access, unless the express consent is made through the holder for each occasion. ROTOR COMPONENTES TECNOLÓGICOS, S.L., in accordance with the Law of the Information Society and Electronic Commerce Services 34/2002 of July 11, applies the rules and requests specified in said law and includes among these services, the provision of information by said medium. In any case, Law 15/1999 of December 13, on Protection of Personal Data, and its development regulations, shall be applied in this manner, especially in reference to the collection of personal data, the collection of information for the interested parties, as well as the creation and maintenance of personal data files. The website www.rotorbike.com has been created and is owned by ROTOR COMPONENTES TECNOLÓGICOS, S.L., registered in the Mercantile Registry of Madrid, Volume 11210, Book 0, Folio 56, Section 8, Hoj MM3650, entry 1, with CIF B81484552. The file, located at C/ Tajo, Almacén 6, Polígono Industrial Conmar Ajalvir, 28864 Madrid, and established for the purposes of this legal notice, in Madrid (Spain), under the supervision and control of ROTOR COMPONENTES TECNOLÓGICOS, S.L., assumes responsibility for the adoption of technical and organizational security measures to protect the confidentiality and integrity of the information, in accordance with the provisions of Law 15/1999 of December 13, Protection of Personal Data and other applicable legislation. If you have any questions about these terms and conditions, please contact us at marketing@rotorbike.com.